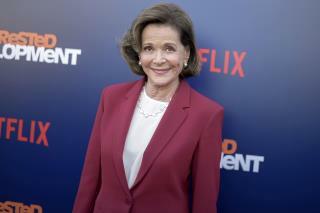 (Newser) – Jason Bateman is apologizing a day after an emotional interview with the cast of Arrested Development was published by the New York Times ahead of the show's fifth season. It touched upon allegations of sexual misconduct against star Jeffrey Tambor, as well as his admission earlier this month, via the Hollywood Reporter, of a "blowup" with TV wife Jessica Walter. "In like almost 60 years of working, I've never had anybody yell at me like that on a set. And it's hard to deal with," 77-year-old Walter, who described the incident as verbal harassment, eventually revealed through tears. But first, her male co-stars jumped to Tambor's defense. David Cross stressed it was "important to remember" Tambor "learned from the experience." "Not to say that ... [Walter] had it coming," added Bateman. But "families come together and certain dynamics collide and clash every once in a while." Bateman is a great actor even in flop movies. But I have to say he’s a two face downplaying harassment in Hollywood. Like maybe he’s next on the waiting list to be exposed. If Tambor hasn't learned how to act like a grownup in 73 years, he ain't gonna learn it at all. Putz. so many people want to be actors. probably there are some skilled ones who have decent manners. tambor ain't no genius talent.